2017 Winter Auction - Save the Date! Our winter auction will be held on Sunday February 19, 2017. Due to some potential conflicts with other groups that utilize the same venue we have not yet locked in an exact start or end time for the auction. We expect to have this information available within the next week. We know you're all excited for this event and we wanted to get you the information we have confirmed while we wait for the final details to roll in. Please mark your calendars and check back in the next few days for the full details. Members will of course be notified by email as soon as we have everything confirmed. Join us at the LLFC field this Sunday, January 1st at 11am for a frozen finger day! We'll have coffee and donuts to keep you warm and fuel you up! 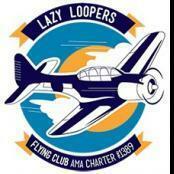 Come out and ring in the New Year with your fellow loopers and have a great day of flying. The weather reports say we should expect the mid 40s and sunshine, so it might not be all that frozen after all! Join us for a fun fly and pot luck lunch at the field! Come out and enjoy one of the last warm flying Saturdays before the New England weather sets in! Bring your favorite covered dish, casserole, snack, or meat for the grill! Just bring enough to share! Challenge your flying skills! Compass heading challenge Flying Limbo Taxi Challenge There will be prizes awarded to challenge winners! Join us on Saturday August, 27 at 11:00AM until 3:00PM for our annual Biplane Day! Bring out your Biplane or Triplane and enjoy the day with us! We've combined this day with our popular "Pot Luck" cook outs. Bring your favorite dish to share with your fellow loopers and others. The club will be providing drinks and snacks along with hamburgers and hot dogs. If you need to use the grill for your dish it will gassed up and ready to go! Our Field is located at 206 North Street in Wrentham, MA. Join Us for National Model Aviation Day August 13! We invite you to join us for a day filled with RC flight, food, raffles, and fun for everyone! "AMA members are now required by regulation to register their aircraft with the FAA to avoid federal enforcement and potential penalties. All Radio Control modelers must register aircraft weighing greater than 0.55 pounds online no later than February 19, 2016. The registration fee is $5. However, FAA is offering free registration when registering on or before midnight EST on January 21. Online registration can be accomplished on the FAA webpage at, RegisterMyUAS.faa.gov . Several AMA staff members and AMA leaders have been working with legal counsel and the FAA to find a solution for our members on the registration rule. To date, FAA has agreed in principle to several proposed initiatives that will help ease this process for our members in the future. Visit modelaircraft.org/gov to learn more." 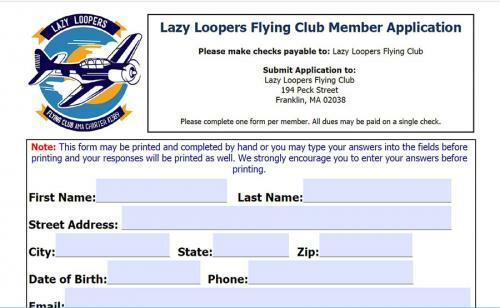 This means, every member of the LLFC MUST register as per the AMA and FAA requirement. Please take care of this as soon as possible. Yesterday, the AMA Executive Council unanimously approved an action plan to relieve and further protect our members from unnecessary and burdensome regulations. This plan addresses the recently announced interim rule requiring federal registration of all model aircraft and unmanned aircraft systems (UAS) weighing between 0.55 and 55 pounds. AMA has long used a similar registration system with our members, which we pointed out during the task force deliberations and in private conversations with the FAA. As you are aware, AMA's safety program instructs all members to place his or her AMA number or name and address on or within their model aircraft, effectively accomplishing the safety and accountability objectives of the interim rule. AMA has also argued that the new registration rule runs counter to Congress' intent in Section 336 of the FAA Modernization and Reform Act of 2012, otherwise known as the "Special Rule for Model Aircraft." The Council is considering all legal and political remedies to address this issue. We believe that resolution to the unnecessary federal registration rule for our members rests with AMA's petition before the U.S. Court of Appeals for the District of Columbia. This petition, filed in August 2014, asks the court to review the FAA's interpretation of the "Special Rule for Model Aircraft." The central issue is whether the FAA has the authority to expand the definition of aircraft to include model aircraft; thus, allowing the agency to establish new standards and operating criteria to which model aircraft operators have never been subject to in the past. In promulgating its interim rule for registration earlier this week, the FAA repeatedly stated that model aircraft are aircraft, despite the fact that litigation is pending on this very question. The Council believes the FAA's reliance on its interpretation of Section 336 for legal authority to compel our members to register warrants the Court's immediate attention to AMA's petition. While we continue to believe that registration makes sense at some threshold and for flyers operating outside of a community-based organization or flying for commercial purposes, we also strongly believe our members are not the problem and should not have to bear the burden of additional regulations. Safety has been the cornerstone of our organization for 80 years and AMA's members strive to be a part of the solution. As we proceed with this process, we suggest AMA members hold off on registering their model aircraft with the FAA until advised by the AMA or until February 19, the FAA's legal deadline for registering existing model aircraft. Holding off on registration will allow AMA time to fully consider all possible options. On a parallel track, it also allows AMA to complete ongoing conversations with the FAA about how best to streamline the registration process for our members. In the near future, we will also be asking our members to make their voices heard by submitting comments to the FAA's interim rule on registration. We will follow-up soon with more detailed information on how to do this. Thank you for your continued support of AMA. We will provide you with more updates as they become available.